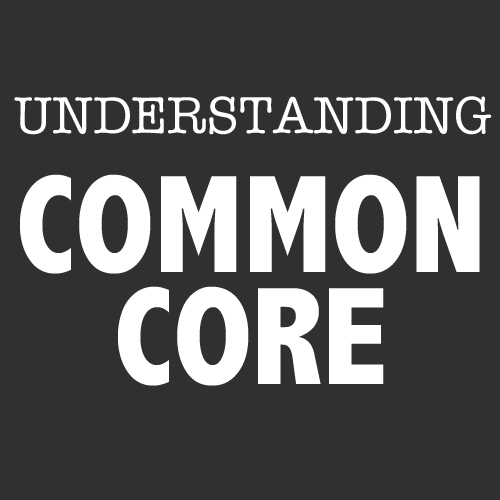 While government overreach from the IRS and NSA garner national headlines, additional forms of government overreach are appearing as people learn more about Common Core educational standards. In Florida, parents freaked when they found out that an Iris Scanning Program had been put in place to keep track of their child’s bus commute. The scans were implemented at three schools in Polka County, Fla.(1) The program was initially meant to increase security for children to make parents feel safer, but since the parents in question were (mistakenly) never informed the program only caused panic. 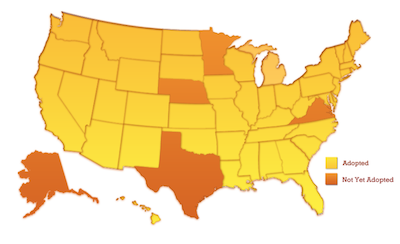 Click your state to find out when Common Core will be fully implemented. According to the Common Core State Standards Initiative website, “[they] provide a consistent, clear understanding of what students are expected to learn, so teachers and parents know what they need to do to help them.” (3) Common Core encompasses a series of moderate academic standards that are monitored through new standardized testing made available to students, parents, teachers, and the state. States commit to these standards and assessments. Promising to extend their databases to include more comprehensive data that will track students from Kindergarten to the workforce, states are pursuing a form of tracking that is unparalleled in the history of American education. Before Common Core can be fully implemented the state legislatures need to approve its funding. By the end of 2010, forty-five of the forty-eight States approved Common Core. (5) Currently, several states are aiming for full implementation during the 2013-2014 school year. In the 2014 – 2015 school year States will begin to administer the new assessments. It’s easy to look at the incident in Florida and think that nothing that drastic could happen in little, old fill-in-your-district. But these nation-wide standards aren’t just affecting Florida specifically, or a small handful of states. 48 states accepted the program initially. Of those forty-eight, 45 states have already officially approved the standards and are implementing them in less than 5 months. This is not a distant-future event, nor is it localized in a few states. Common Core is becoming a hard and fast reality that permeates throughout the entire U.S. The best way to get involved is to join the conversation and spread the word. Follow us on Twitter and check out our sources below and stay tuned for more updates on the implications of Common Core.